It’s been a very eventful week for me personally and professionally. 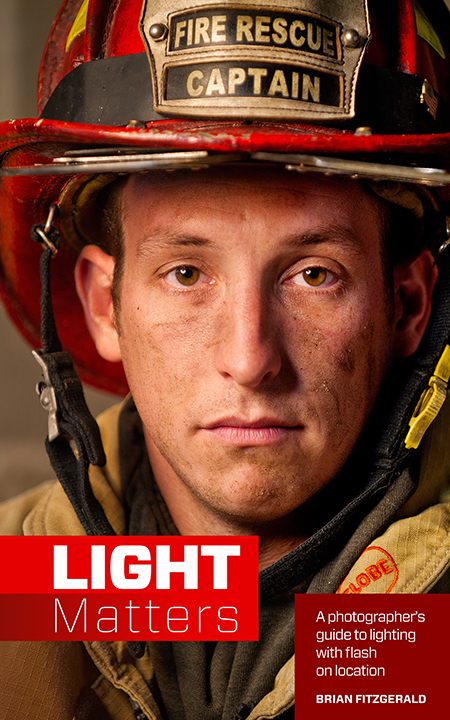 On October 2, I published my first book, Light Matters: A Photographer’s Guide to Lighting with Flash on Location . Light Matters is more than the realization of a childhood dream to write and publish a book. It’s my approach to lighting when on assignment, reduced to actionable tips. Each suggestion is informed by my own experiences and, often, by my missteps and mistakes over 20-odd years as a shooter. My working title for the book was simple: Move, Light, Shoot. Purposeful experimentation keeps one from getting stuck and kicks creativity in the behind. You can’t master flash—or anything else—without taking direct action, assessing the results, and adjusting your approach. To that end, the guide is full of tips and practice exercises that any serious amateur or natural-light pro would find useful as they stretch their lighting muscles. I write in the intro that I wish I had a book like Light Matters in my camera bag when I was coming up. Most photo book contain endless lighting diagrams, three-point lighting setups and exact recipes allowing readers to duplicate the example photographs. I’d rather give readers tips that force them to think and tools to help them succeed. A simple Google search will provide any number of lighting setups. Few resources give you tips on shaping your shoot, dealing well with your clients and with the many inevitable issues that arise on location. Above all I hope the guide is useful. That it prompts photographers to think and to stretch themselves. If it saves a photographer just a smidge of the grief that would have otherwise come to them, then I’ll be happy. I’m so thankful to my group of advance readers–my Dream Team–comprised primarily of photographers I know and trust around the country. Their feedback helped shape the final product and made it shine. I’m grateful that during its first week of publication, Light Matters reached #1 in two categories in the Kindle store. Mind blown. As a companion to the book, I’ve created two resources. One is the page on my site, www.lightmattersguide.com, where I’ll be posting additional information about the book, downloadable excerpts and other resources as they come available. The other is a private Facebook group Light Matters , set up to discuss the exercises and concepts in the book. Please check out Light Matters on Amazon, and let me know what you think. Focus on Shadows and Take Your Photography to the Next Level. All content is protected by copyright © Brian Fitzgerald. All rights reserved. No content may be republished or used without permission.